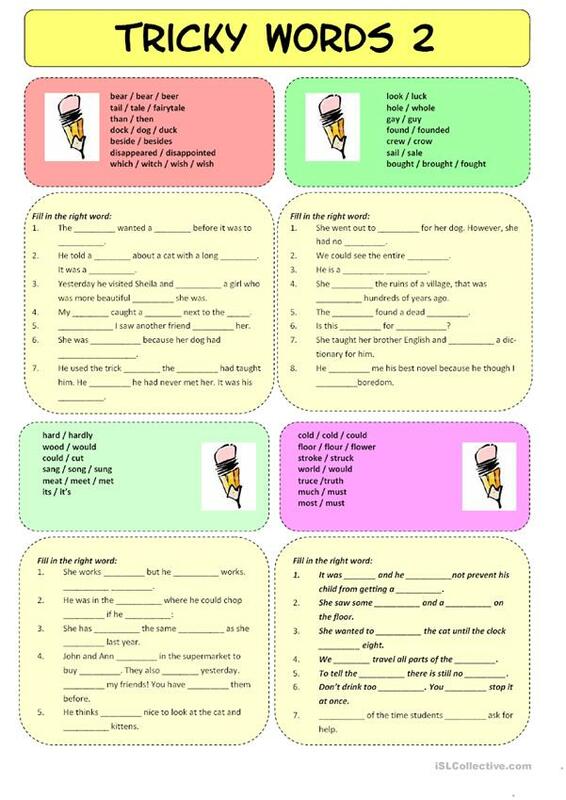 A ws to practise the words always mixed up because they sound the same! Watch out for another 6 wss to come. This downloadable printable is best suited for business/professional students, high school students, elementary school students and adults at Pre-intermediate (A2), Intermediate (B1), Upper-intermediate (B2), Advanced (C1) and Proficient (C2) level. It is great for consolidating Homonyms (two words with the same pronunciation - homophones and homographs) in English, and is excellent for working on your students' Reading and Writing skills. It features the topic and words of Homonyms and Words easily confused.